Do You Have Weeds In Your Lawn? The most common problem I hear and see in lawns is weeds. Everybody has them at some stage. This year they are the worst we have seen in years mainly due to the biggest wet season the Sunshine Coast had last year. So you have got some weeds, you duck down to the local nursery or hardware and pick up some weed killer, you whack it on and nothing happens??? Down you go again, buy some more and this time maybe something stronger. By this time the weeds are thicker and there are more of them. You whack it on, whoops that burnt a bit. Next thing buy some fertilise to help it recover, but that just makes the weeds grow higher. This is when you ask for some professional help by calling a local turf grower. 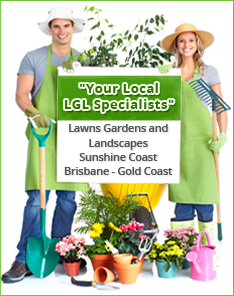 If you are in our local area Nth Brisbane, Sunshine Coast or Gympie areas give us a call. The Main Reason You Have Weeds and the Best Solution. The reason you have the weeds in the first place is because you have a lawn variety that doesn’t suppress weeds. You need a soft leaf buffalo lawn and you need a very good one like ‘Sir Walter’ as this one has proven itself over the years as the premium choice. 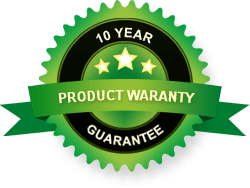 Too often we hear the stories about how much they have spent on lawn products trying to remove the weeds, and then fix the problems. The best solution is to remove the existing lawn and install a brand new ‘Sir Walter’ lawn. 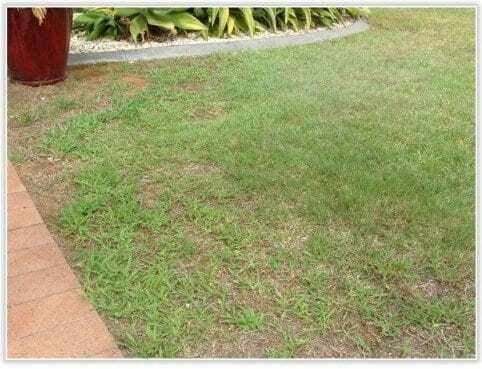 No more weeds, no more pests to worry about, it even handles the shade and it will survive the wet season no worries which is the important part because they are predicting another larger than normal wet season again. See how we do a rip out and install of a new lawn. With our vast experience and equipment it is a very quick and simple process. Why The Cheapest Option Is Not the Best Option. We all would like a cheap solution and sometimes there are good cheap solutions. In this case however, the cheapest option of trying to spray the weeds out is only a temporary measure because they will be back again. You will have to do it again each year and put up with the lawn grubs and other issues as well. Do It Right The First Time. You and The Environment Will Benefit. Do it right the first time and turn your liability into an asset, first impressions count, the lawn is one the major components of a home which is generally the first thing friends will see. We all need to be conscious of what we apply to our lawns, especially on the coast because at least some of the ingredients will end up in our waterways. By installing a lawn variety that reduces this greatly we are caring for our environment. ‘Sir Walter’ uses less chemicals than any other lawn variety and that has to be considered when choosing your lawn.